Published on March 23, 2009 in General. 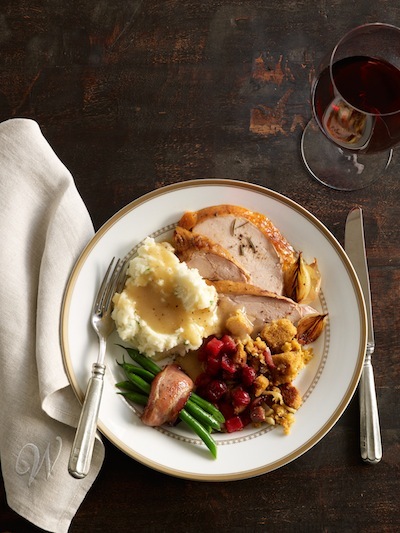 1 Comment Tags: Add new tag, Black Bean Soup, Chefdruck, DC Metro Moms, Italian Picnic Chicken, Leticia, Parmesan Crisps, Review, Shrimp Scampi, Tech Savvy Mamma. Simple tasty food with fresh ingredients is the mantra in our house so I’m always on the lookout for wonderful new cookbooks that will meet my criteria. 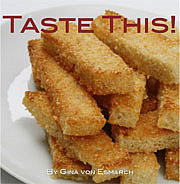 One new cookbook I adore is Taste This! 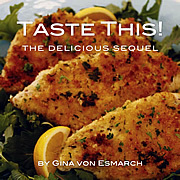 Author Gina Von Esmarch’s new book is filled with delicious easy to follow recipes whose everyday ingredients are probably pantry staples. I love that none of the ingredient lists for Gina’s 65 recipes are long. Being able to assemble my ingredients quickly makes it easy for the kids and me to cook up something delectable and fresh even when we are short on time. We love popping the Parmesan Crisps in the oven to accompany a pot of soup like the Hearty Black Bean Soup made the day before. We keep frozen raw shrimp on hand so we can put together Gina’s Shrimp Scampi as an emergency dinner. Next on our list to try is the Italian Picnic Chicken which comes highly recommended by Being Savvy Newark City Editor, Vanessa. To read her full article, go to Definitely Taste This!.